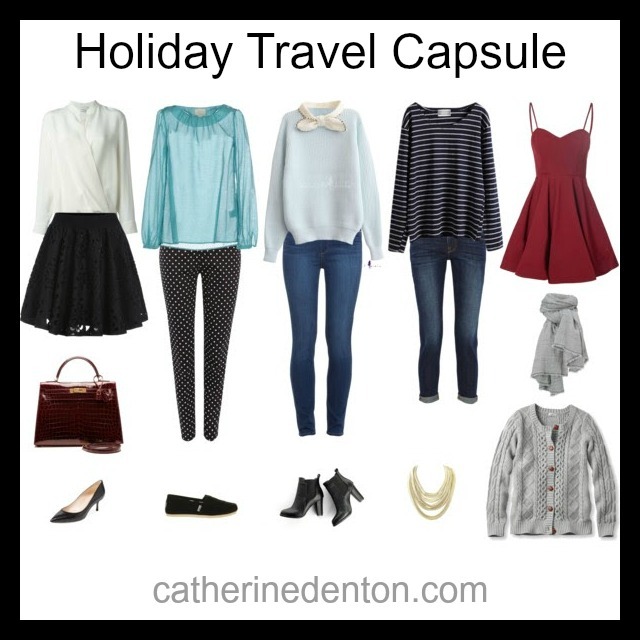 When traveling, you don't want to be loaded down with lots of clothing and a humongous suitcase. So instead of trying to pack everything "just in case", pack light with versatile pieces and the ability to make multiple outfits. This set is a good mix of dressy, casual and cozy. Traveling in the fall and winter months, it's important to remember you might run into some very cold days along with the unseasonably warm ones. Layers are key to being prepared for any kind of day. Love this capsule? Shop the look here! What's your favorite holiday outfit?